Why I think my party’s (#CHADEMA) decision is wrong! Mr. Zitto Kabwe is my good friend and we are writing a book together. Mr. Freeman Mbowe is my home MP. We come from the same village and are neighbors. We are, in many angles, a family. I also worked very closely with him during the 2010 elections and admired his strengths. Learnt so much from this experience. My father, Mr. Clement Kwayu, is a local councilor with Chadema ticket. I am a loyal member of Chadema. I supported the party since when I could remember. My party card membership is from 2005. I ran for a women special seat MP in 2010. I am now a development and management consultant at BUMACO and a research affiliate of the University of Oxford, Department of Education. I do not plan to ran for any office in the near future as my focus is on academic research and writing. In the early hours of Friday 22nd Nov, news broke that Chadema, the main opposition party, has stripped off Zitto Kabwe and Dr. Kitila Mkumbo leadership positions in the party. (For a coherent analysis and events as they unfolded see Mtega’s analysis at http://mtega.com/2013/11/25/ccm-hoyee-zitto-and-chadema-in-a-mess-as-usual-its-all-about-2015/) The former was the Deputy Secretary General of the party and the Deputy Opposition leader in the Parliament, while the latter was the member of the party’s central committee. Both of them are young, energetic and highly educated people. Their works are known and respected both locally and internationally. For example, both of them have international publications- meaning that they command respect and contribute to the reviewed knowledge. Dr. Mkumbo is a senior lecturer at the University of Dar-es-Salaam and he has published in peer reviewed academic journals. He is an authority in a number of aspects on education psychology. Mr. Kabwe is becoming one of the leading experts in the war against corruption. This is owed to his continuous dangerous and risk fight against corruption in Tanzania. His name appears in the recent best-sellers book on corruption- Global Corruption by Cockcroft.. In the same vein he has been engaged himself in a herculean task of fighting tax injustice and illicit money flow. Of late, Mr. Kabwe was among experts who participated in a Europe fact-finding mission commissioned by a coalition of European NGOs to investigate on illicit money flows. He also invited to present a paper on illicit money flows in the Open Government Partnership (OGP) summit in London 2013. In the local public sphere, Zitto Kabwe is a development- minded leader. This has led him to look at things from a bipartisan perspective. It is costing him. He is paying a high price for this. I will talk about his work at domestic level from my various encounters with him. The idea of writing a book with Mr. Kabwe was born out of our discussion of why poverty persists in Tanzania amid a decade long 7% average economic growth. The book has progressed but due to his busy schedule it has been difficult to meet the deadlines. For those who have met him before may testify to the fact that Kabwe discussions and talks revolve around development issues in Tanzania. He speaks about rural poverty and constantly thinking of ways to bring about rural development in Tanzania. Eradicating the rampant rural poverty in Tanzania is his ultimate wish. In that respect, Kabwe came up with the idea of extending social security to farmers. Conventionally in Tanzania, social security has only been something for formally employed people, who make an insignificant percentage of Tanzanian population. Most of the productive age in Tanzania are engaged in informal economic activities most of its being self-employed peasantry farming. Kabwe piloted his idea in Kigoma through a cooperative known as Rumako. Him and NSSF raised awareness and enrolled 750 farmers into the scheme. When that worked well and successful, Kabwe thought of the plan to extend this to other regions in the country. He linked my employer company- BUMACO with NSSF – so as we can do the same for farmers in Kilimanjaro. The rationale for working with BUMACO is due to its 30-years track record of working with cooperatives in rural settings. BUMACO has a network of 20 SACCOS in rural Kilimanjaro. Kabwe ‘s wish is to extend social security to farmers in other regions all over Tanzania. He keeps saying this is transformational. Being a member of Chadema I am ever proud of having a party leader such as him. He is always working very hard. This year alone, Kabwe has put so much in his parliamentary committee ( #PAC), and party membership recruitment and public rallies (refer to his 9 days party tour and rallies he did in North-Western Tanzania in September). He has his weaknesses as any other human being, but the best thing is to capitalize on his strengths so as to counter his weaknesses. Why does the party keep looking for his mistakes? Why? Is this what politics is all about? Is this the kind of political change we want? Kabwe has stood up on principles such as refusing to accept sitting allowances as well as standing firm on the parties to be audited. The party, if anything, should have supported these two principles. In fact I think the party should have adopted them in the list of its main agenda. If the party leadership keeps calling for the changes, yet keeping fighting internally with those who are trying to bring real and painful changes, what does it expect the public to think of them? The editor of the ‘Mkakati wa Siri’- Dr Mkumbo declared that Kabwe was not aware of the document. Even the language used in the document refers to him in the ‘third person’ – i.e. he was not part of him. A credible committee should not use feeble evidence to make such huge judgments. The party’s internal elections have always been dramatic and not to the best of democratic ideals. Personally, I vied for a special seat MP in 2010. To date, I do not understand the process and criteria to which 25 women were nominated to be part of the key branch (the parliament) of our esteemed republic. These women legislate for the country and use millions of tax- man money as salaries and allowances. Thus, I can never trust (100%) the ‘fairness’ of decisions made by the central committee. Political analysts with interests on Tanzania’s party politics can go on analyzing this drama. Mine is not a political analysis per se, but my honest reflection of the ongoing drama in relations to my experience. NILIPOKUWA katika ziara ya bara la Ulaya kati ya Oktoba 21 mpaka Novemba 2 mwaka huu (2013), nilipokea kwa njia ya barua pepe ripoti inayoitwa “Taarifa ya Siri ya Chadema” ambayo pia ilikuwa imesambazwa katika mitandao mbalimbali ya kijamii. “Taarifa ya Chadema inasema kwamba chama hicho (chama changu) kilikuwa kimechunguza mwenendo wangu tangu mwaka 2008 hadi 2010 na kubaini kuwa mimi napokea fedha kutoka Chama Cha Mapinduzi (CCM) ili kuivuruga Chadema. Ripoti hiyo ilinihusisha pia na mwananchi raia wa Ujerumani, Andrea Cordes ambaye, kwa mujibu wa ripoti hiyo, alinisaidia kupokea na kuhifadhi kiasi cha dola 250,000 za Marekani kupitia kwenye akaunti yake binafsi. Taarifa hii ya kutunga na iliyojaa uongo wa kiwango cha kutisha, imenifadhaisha, kunisikitisha na kunikasirisha. Taarifa hii iliibuliwa katika kipindi ambacho nilikuwa safarini kutetea haki za Watanzania na Waafrika ambao utajiri wao wa rasilimali unafaidiwa na watu wachache waliohifadhi mali katika nje za nje na pia kupigania makampuni ya mataifa tajiri yalipe kodi stahiki katika nchi zetu. Pengine lengo la ripoti hiyo lilikuwa ni kutaka kunipoteza kutoka katika nia na dhamira yangu ya dhati ya kutaka Watanzania wafaidike na utajiri wao. Muda ambao watunzi wa ripoti hiyo waliamua kutoa taarifa yao unazua maswali mengi kuliko majibu. Nafahamu kwamba mimi ni mwanasiasa ambaye nimekuwa mlengwa (target) wa mashambulizi kutoka kwa makundi mbalimbali ya wanasiasa na vikundi vyao. Kama mwanasiasa, niko tayari kupokea changamoto zozote zinazokuja na uanasiasa wangu. Hata hivyo, ambacho sitakubali ni kwa watu kutumia jina langu na uanasiasa wangu kunichafua mimi binafsi na watu wengine wasiohusika kwa sababu ya kutaka kutimiza malengo yao ya kidhalimu. Raia huyo wa Kijerumani tayari amekana kuhifadhi fedha zangu. Kwa maelezo yake kwa baadhi ya viongozi wa Chadema amekana kuwa na akaunti inayotajwa na amekana pia kuwepo nchini Ujerumani katika siku na wakati uliotajwa kwenye ripoti hiyo. Ripoti hiyo imemtaja pia mtu kama Dk. Charles Kimei, Mkurugenzi Mtendaji wa Benki ya CRDB ikidai kwamba nilikutana naye na alishiriki kwenye igizo hilo la kunipa fedha. Niseme mapema kwamba tangu kuzaliwa kwangu sijawahi hata mara moja kukutana na Dk. Kimei popote pale ndani au nje ya nchi. Kumuingiza mtu ambaye amejenga jina lake kwenye taaluma ya kibenki kwa sababu tu ya lengo ovu la kumchafua Zitto Zuberi Kabwe si uungwana bali ni unyama. Kutokana na uchafuzi huu wa wazi dhidi ya taswira yangu binafsi na watu wengine walioingizwa kwenye mkumbo huu, nimeandika rasmi kwa Katibu Mkuu wa Chadema, Dk.Wilbrod Slaa kumwomba athibitishe kwamba kinachoitwa Taarifa ya Siri ya Chadema ni kweli ni taarifa ya chama au kiikanushe ili niweze kuchukua hatua za kisheria dhidi ya waandishi wa hekaya hiyo. Cha ajabu, nimepokea ujumbe wa kutishiwa maisha kutoka kwa mtu anayejiita Theo Mutahaba na kuahidiwa KUPOTEZWA endapo nitaendelea na jitihada zangu za kupambana na ufisadi na kutafuta haki kwa Watanzania wote pasipo kujali tofauti zao za kiitikadi, kikanda, kikabila na kidini. Natarajia kuchukua hatua kali za kisheria dhidi ya wote ambao wamehusika na utungaji na uenezi wa taarifa hii. Nitahakikisha kwamba wahusika wanatafutwa na kufunguliwa mashitaka stahiki ya upotoshaji na kuchafuana. Ni matarajio yangu kwamba wale wenye mapenzi mema na Tanzania, mimi binafsi na utawala wa sheria, wataelewa nia yangu ya kutafuta haki katika suala hili. 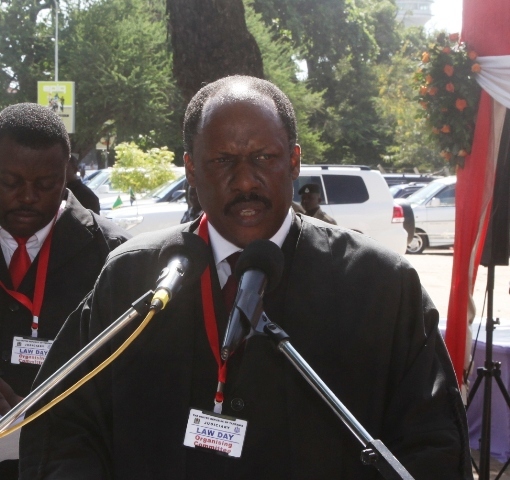 NCCR-Mageuzi chairman James Mbatia refuted reports that the party has not submitted its audit reports for four consecutive years. Dar es Salaam. The office of the Controller and Auditor General (CAG) said yesterday it was yet to receive audit reports from any of the nine political parties getting subvention. The remark is in response to a controversy triggered by remarks of the chairman of the Parliamentary Public Accounts Committee (PAC), Mr Zitto Kabwe. His committee has since summoned six of the parties to explain why their accounts were yet to be audited. The response by the deputy CAG, Mr Francis Mwakapalila, is likely to intensify the subvention controversy which has put the political parties and Mr Kabwe in a face-off in the last one week. Zitto has accused nine political parties with representation in the Parliament of failing to submit their financial accounts to the CAG for auditing. He directed the registrar of political parties to suspend the subsidies of the parties for their failure to comply with the guiding law. Zitto claimed that the parties had failed to submit audit reports accounting for a total of Sh67.7 billion in the past four years — a requirement made by the Political Parties (Amendment) Act, 2009. The deputy CAG told The Citizen that the truth about the controversy will be known on Friday at a joint meeting of all the parties. He, however, clarified that the CAG’s office had allowed parties to seek the services of external auditors. According to Mr Mwakapalila, the CAG can contract qualified firms to audit the political parties. “Political parties are expected to maintain proper accounts every year and submit their financial reports, audited by the CAG, to the registrar of political parties,” he detailed. PAC has summoned the parties on Friday to explain why they failed to submit the said reports. “We will know who was right or wrong, I hope the CAG will also be there. Let’s be patient,” he added. The nine political parties have been insisting that they have submitted their audited accounts to the CAG and accused Mr Kabwe of overstepping his mandate. Already, the Civic United Front (CUF) said it would not attend the Friday meeting and accused Mr Kabwe of acting beyond his legal powers. The party’s deputy secretary general (Mainland), Mr Julius Mtatiro, said his party was not on the list of the parties that have not submitted their audit reports. The ruling CCM has strongly accused the PAC, saying it was aware of the requirements of the law and that the it had has been submitting its audit reports to the CAG. Its Publicity and Ideology secretary, Mr Nape Nnauye, said the Tanzania Audit Corporation has audited its accounts from 2003/04 to 2010/2011. “We’re waiting for the 2011/2012 audit report which is still with the external auditors,’’ adding that the report would be forwarded with the CAG once it is ready. “Our accounts were audited and we sent reports to the registrar,’’ he said. He said, however, that the CAG’s office was cash-strapped and unable to oversee the auditing of political parties. Chadema Information officer, Mr Tumaini Makene, said his party was playing by the rules as far as financial propriety and transparency were concerned. According to Zitto’s committee, CCM has failed to account for Sh50.97 billion, Chadema (Sh9.2 billion), CUF (Sh6.29 billion), NCCR-Mageuzi (Sh677 million), UDP (Sh33 million), TLP (Sh217million), APPT-Maendeleo (Sh11 million), DP (Sh3.3 million) and Chausta (Sh2.4 million). Meanwhile, two PAC members yesterday defended Mr Kabwe against attacks by political parties allegedly for personalising the subvention issue, saying the matter was owned by the Committee. They told The Citizen separately that Zitto had full blessings of members of the PAC before he made the statement to the effect that accounts of nine political parties had not been audited for four years. “That is the position of our committee and not Zitto’s creations as political parties want the public to believe,” said a member of the committee, Mr Abdul Marombwa. He said they were wondering why the political parties were personalising the issue while the matter surfaced the committee met registrar of political parties, Mr Francis Mutungi, who revealed the information. “There is no Zitto’s agenda here, we all sat and agreed on the matter,” he said. Another PAC member who asked not be named said their team was implementing Political Parties (Amendment) Act, 2009, which requires them to submit the parties accounts to the CAG for auditing and forward the audit reports to the registrar. “The registrar confirmed to us none of the nine parties fulfilled that legal requirement,” he said. “That was not Zitto’s statement, it was the outcome of the meeting,” he insisted.